Modern design meets premium performance! 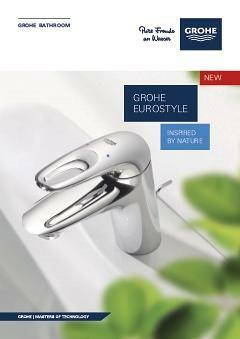 Bring out the best in any modern bathroom scheme with this super stylish GROHE Eurostyle bidet mixer with pop-up waste. This single-lever tap is instinctive to use and easy to clean, making it perfect for family bathrooms with bidets, plus it has in-built water-saving technology. GROHE taps are designed not just to look great but also for maximum durability and outstanding performance – all backed up by German engineering excellence. It has a host of useful features, including SilkMove for smooth operation and water-saving EcoJoy, which cuts water usage by up to 50% without reducing water flow. The gleaming coating of scratch resistant StarLight chrome is easy to clean and has a sparkle that lasts for years. As part of the popular and easy-to-fit Eurostyle range, this mixer combines beautifully with other products in the collection for a harmonious bathroom design.